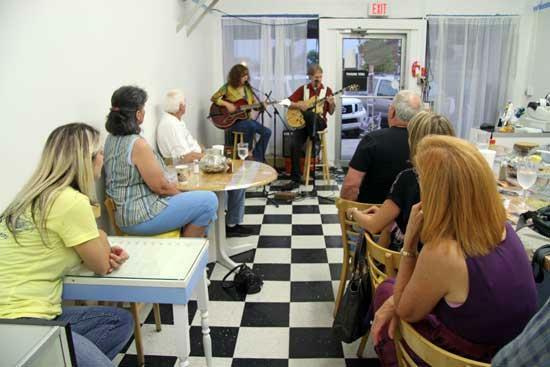 Seats at Heavenly Café were filled to hear Nashville songwriters Rick and Janis Carnes perform live there Friday night. Nashville songwriters Rick and Janis Carnes brought their act to Bremm’s Heavenly Café on the Square Friday night. They have earned 40 platinum albums with songs recorded by artists such as Garth Brooks, Reba McEntire, Alabama, Steve Wariner, Pam Tillis and Dean Martin, and they treated the crowd at Heavenly Café to an array of their hits.